Teaching With Love and Laughter: Are you a no-reply blogger? I absolutely love to receive comments on my blog. I always take the time to read every single one. I appreciate the kind words and I've learned some great new ideas. I love to respond to every single comment, too. And I do, but, only if you are not a no-reply blogger. Most people don't know whether or not they are a no-reply blogger. If this is the case for you, hopefully, my little tutorial will let you know. First, what is a no-reply blogger? Well, if you leave me a comment and I read it through my email and then I go to reply to your email, if your email address reads noreply-comment@blogger.com, you are a no-reply blogger and I cannot reply to your email. In this case, all you need to do is follow the 6 easy steps below and you will instantly begin receiving replies back to many of the comments that you leave on everyone's blogs. That's it! Most bloggers will agree that it is good blogging etiquette to have an email address associated with your blog. There are so many times that I want to email someone back and I can't. If you don't want your main email address flooded with emails from bloggers or if you don't want anyone to know your main email address, then you can create an email account just for blogging. The email in your profile can be different than the one you use to sign into your blog. Feel free to to share this information on your blog, too. The more people we reach, the less no-reply bloggers they'll be! If you would like to use this post as a test to see whether or not you are a no-reply blogger or whether or not you added your email correctly, you can leave a comment and I will reply back to you...as long as you did it correctly. :) Good luck to you! Hi Lori- I think my email address is available, I had everything set up the way you explained. I'd love to know if I'm right, though. LOL. Thanks. Oh my gosh, what a helpful tutorial! Thanks so much! @Lisa, did you fix yours? Because it's not working. I still got the no-reply@blogger.com. Sorry! I find it amazing that you respond to each and everyone of your comments. That's incredible!! And I know for a fact that you receive a lot more comments than I do, but I can't find the time to respond to every one of mine. You're amazing!! Thanks so much for posting this! Jessica from Mrs. Standford's Class taught me how to do this a few weeks ago. Now I am bugged when people don't have it set up because I can't reply either! Thanks so much! Hi, Lori! Thanks so much for sharing this! I just followed your steps. Hopefully I did it right! yay for posting this!! I have started posting it every few months for all the "newbies"
YAY!!! Now I'm no longer a "no-reply blogger"!!! Stop by and enter my 150 follower giveaway! Please join me for my giveaway! Thanks for the great tutorial. I love to reply to the comments as well by email so this is great for those who want to change their settings!! I did this a couple of weeks ago and it's so great!! Love being able to reply to comments! Great advice!!! :-) Thank you do much for easy tutorial!!!! Hmmm....I think I have the new blogger dashboard so my options aren't the same as your pictures. So this is my check to see if mine works! My email address is there! This is a great tutorial for those who are no-reply! Thanks for the tutorial! I went back to double check that I did this, but apparently I didn't. Now I am all set up! I didn't know that you can reply to comments via email! I usually go to the individual blog to comment back! Thanks for letting me know!!!! I didn't know about this! Thanks for sharing! Please let me know if I did it right! I just checked it again. I think I am fixed now. I am glad I dropped by and I am now no longer a "no reply blogger"! I have been cured and hopefully I did it right and will know for sure soon. Wow! I have never even thought about the no-reply! Now I'm all set. Thanks for the tip. Love your blog! I'm a new follower! I'm still a blog newbie and had no clue I was a no-reply blogger! I'm learning something new everyday! Thank you for this post! Thanks for posting this! I'm learning something new every day and loving it. Now I have a question, how come even though I know I follow your blog (and any other blog that I follow) whenever I got to your blog under the google followers/friends it never says I follow you? But I get all your updates!!! I am no longer a "no-reply" blogger! And I'm kinda sad that I wasn't always one of these "no-reply" bloggers! I guess you can't always know everything. :) So thanks for sharing! ---Now, if you can fix my "reply" button (I don't have one and can't figure out how to get one!) on my comment feed... I'd be the happiest person ever! Thanks for the tutorial, I think I am able to receive mail now. I had no idea. Thanks for the tutorial. I think I did it. Thanks for a great tip and clear pictures. Glad to say I WAS NOT a no-reply blogger! Thanks for the tutorial so I could check and make sure. I had no idea! Thanks for posting this quick and easy tutorial. Oh no! I think I am guilty of this as well... Strange though because when I try to follow your steps, I do not have a "Blogger Profile" option. In its place it reads, "google+" Ahhh! I wanted to try again now after changing a few options. I'm gonna figure out the Google + eventually! OH my gosh...we were totally no repliers!! No wonder nobody was talking to us. Hahaha. Thank you. Thank you, Lori!! P.S. Hopefully we're set up now. Did this put it back to no reply? Thank you so much! I think I got mine changed now. I'm a newbie and learning so much! I started my very first linky party, and now this! I'm trying to find some followers, so if you have time, I'd love it if you'd check out my blog and maybe even link up. Seriously. That was an awesome explanation. KUDOS!!! test, test, this is a test. Oops! I was a no-reply blogger and didn't even know it. It always has bugged me when I couldn't send an email back to someone and now I know they culdn't send one back to me. Got it fied. Tanks so much! Thanks for this tip! I am new to blogging and would of never known. Thanks for the info! My email was showing, but it was showing an email address that was no longer valid. I changed it, so I should be all good now! Great post, Lori! Your picture tutorial was a lot better than when I tried to explain this on my blog with a whole lot of words!!! I will share your post on my blog soon! Stop by my 100 follower giveaway! Fantastic Learning! Thanks so much! I'm unsure if I did this correctly because my screen looks a little different from yours. Can you let me know if it works?!?!? Stop by my VERY new blog. Thanks for your super easy tutorial about no-reply bloggers. I think I'm good, so you can email me back. Since I'm a very new blogger, I am interested how you attained such a following so quickly? I'd love any tips you'd like to share! I just wanted to let you know that I have responded back to everyone up to this point. If you did not receive a reply from me yet, that means you are still a no-reply blogger. If you are using Google+, it has been suggested to revert back to Blogger, if possible, update your settings, and then go back to Google+. Good luck! Hey Lori! I just fixed mine, so I am testing this out now :) Thanks for this post!! I never knew this!! Thank you for the advice. I think I got mine changed my layout looks a little different than yours. Thanks for posting this! I never knew! Wow! I can't believe it was so easy. Eek! I WAS a no-reply blogger! Thanks for the step by step guide. I look forward to comments. Mine was ok, but its always good to double check! Thanks for posting this! Just started following your blog! if you have time please check out my blog! Thanks so much! I think it's all set up!! Thank you for your post. I didn't even realize I didn't have the box checked. Hopefully it's right now. Would love to hear from you. Thank you, thank you, thank you! I love learning new things about blogging. I (hopefully) fixed things so now people can reply to me. Just checking to see if I am no longer a "no-reply blogger"
I had no idea about this, thanks. I love comments and would hate it if people couldn't leave it or get back to me. Wow! Great Tips! I'm new to blogging so I have a lot to learn. I don't blog to share/sell my teacher made materials, but joined an online book study (D5) and loved the blog hops so much that I decided that it would be a great summer project! Loe yours and will add you to my RSS feeds! Hi! This was a great tutorial! So simple. Please reply so I can see if it worked!!! Ooops nevermind I figured it out! Had to switch to the blogger profile instead of Google+ Hopefully it works now! 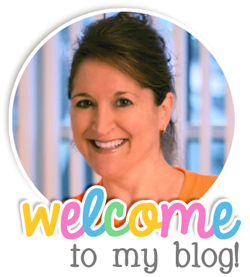 Thanks for the tutorial for the new blogger, Lori! I thought I had fixed that, but with your help I really have now I think! I think I fixed it. Please let me know if it works now. Thanks for the directions. Thanks for the tutorial...I'm new at this blogging thing! I think I have it fixed so I'm not a no-reply-er. Thank you so much for this post!! :) I appreciate all that you do! I'm all fixed up now. That was a very clear tutorial. I love to respond to comments too! They are so much fun to read! I am pretty sure that I am all fixed up but can you give me a click just in case? This was very helpful--hopefully I've got mine set right now. Thanks for posting! Sorry, Lisa, but it did not work! Smart lady!! Thank you for this! Thanks for posting this! I am trying, but I have no idea if I did it correctly. I'm so new at all this! If you could please try to reply, I would appreciate it! Thank you for this wonderful post. I was wondering what someone was talking about when they said leave your e-mail. Now I understand. Thank you! Mine wasn't set up and I didn't realize it. I really appreciate your clear post -- the pictures were great! I think I did this correctly! Thank you! I am posting to see if I have done it right. My options looked a little different once I went into design so I had a little trouble! Let me know if not.Thanks! Bex, I'm sorry, but it didn't work! I hope I fixed it! If not let me know! Thank you for this helpful information! I found you through another blog where they had posted this from you! I am now your newest follower and look forward to reading more posts from you. Welcome, Andrea! I'm glad you found me. Did you become a no-reply blogger? If so, it didn't work because I wasn't able to reply to your comment through email. Sorry! Found this post through another blog and and I am hoping mine is set up correctly. I had some trouble doing it as mine looked quite different. Could you let me know if I'm good to go? Sorry, Antoinette! It didn't work! Interesting... Not sure what I am doing wrong. I followed your directions and everything appears to be correct. I just clicked on subscribe by email and it looks like that worked. Don't know why the other way isn't working. Not sure if I didmitmright or not!? Sorry Cindy! It didn't work! Can you try one more time? I lost the original email. Sorry! Lori thank you so much for this post! I just realized I was one of these blogger. :( I followed your steps. Hopefully, it works. Lori - Thank you so much for sending me the menus. I didn't realize I was a no-reply blogger, but I followed your steps and I'm hoping they work! !